If you were to find a diamond on the ground today, what would you do with it? Would you keep it and hide it from everyone for fear of it being stolen or would you wear it around your neck or on your hand for all to see? An even better question would be, would you believe that it was in fact a diamond? How would you know? 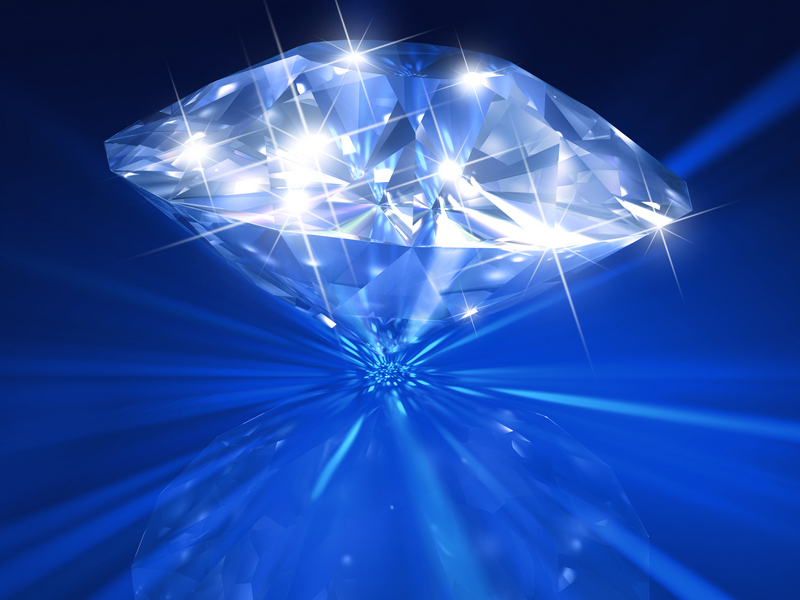 Diamonds actually have specific tests that you can put them through to know if they are real, however, would that be enough? What would the value of that diamond be in your mind at that very moment? Would it be the answer to your financial woes if you have any? Would it be a symbol of wealth that you use to become a different person around others to gain more respect? What would be your connection to this rock? I heard this used recently about a person. This person was the diamond for another, however, they did not believe that they truly were in possession of a diamond. By this I mean that the person in question was too good to be true. In time, this person vanished from contact and they were both left to wonder what ever happened to each other. The magic thing about this story is that they got back in contact with each other and they have completely different lives now. In that moment when they had originally met, all was open and ready to be sculpted, however, it seemed too good to be true. The only thing missing was faith. All things are generally not what they seem. I have experienced this in several ways over the past 10 years alone. So how can you create more faith? I do not have all of the answers for sure, but If I had to answer this in my own way I would say to simply live fully. One moment we are young without a care in the world and the next moment we are adults with several responsibilities and many other things to consume ourselves with every day. We have diamonds all around us in our lives, yet for some it becomes more and more difficult to recognize their power or their obvious intentions towards us without us having the faith that they always mean well towards us. As I was being told this story, I thought of times when I had second guessed certain people or certain things and how that vibration produced very specific results. My day to day assumptions about people are very different today than they may have been even 12 months ago. We create those who are the diamonds in our lives and that will never be any different. Diamonds are rare, yet very real at the same time.